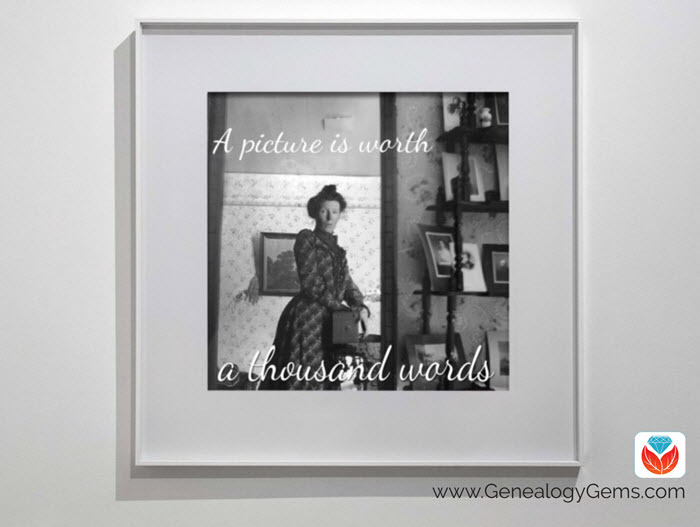 Images make your family history more vivid. But how can you find just the right pictures to illustrate your family stories? These short, free video tutorials help genealogists find images online for family history. When it comes to sharing your family history, pictures are not only worth a thousand words: they’re priceless. A single image can convey an ancestor’s physical appearance, mood or attitude, living or working conditions, social environment, and more. Pictures catch the eye whether they are on coffee tables, hanging on the wall in frames, or shared with loved ones on social media, where they are oh-so-clickable. Most recently, I shared some tips for finding images in the free Genealogy Gems Podcast Episode 194. But I also recommend this series of short video tutorials, which show you exactly how to do this. Unfortunately, in this case, when I do this, all search results disappear. If you want to use images for your own personal use, try the Labeled for noncommercial reuse option. Not all images that are copyright free or in the public domain will be marked, so if you don’t find what you need, go back to your original search results and look at individual images that you like to see whether any of them come from government, wiki, or other websites that commonly offer copyright-free images. Click through to read any image restrictions or use policies posted on the site, or contact the site for permission to use them. In this case, I do find several hosted by libraries, and I will focus on them. 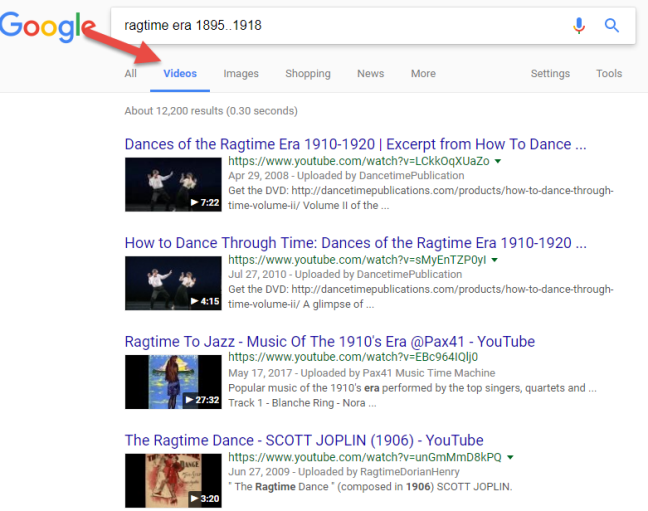 If the spirit and movement of ragtime during this time period is what you’re looking for, watch these videos! They may not work for you if you need static images for a book, but they’re great for sharing on your family history blog or in a social media post. Just click through to the video page, click Share and copy and paste the Embed code onto your site.